We are the only agency on the planet that champions dyslexia. 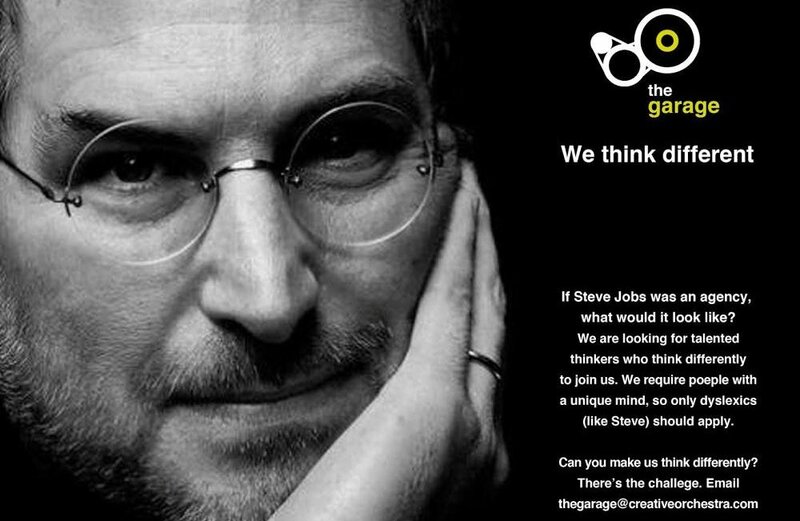 We even ran an ad for our disruptive innovation division, The Garage, looking to hire them. Why not, some of the greatest thinkers and creatives are dyslexic – Steve Jobs, Richard Branson, Anita Roddick, Bill Gates, James Dyson, Einstein, Picasso, Alexander Graham Bell, Henry Ford and even Henry Winkler (the Fonz).